As the county seat of Bergen County, this town of 43,000 is where the legal action is, and the Law Office of David Jay Glassman is only minutes away from the Bergen County Courthouse. From our Hackensack Avenue location just off Route 4, we respond quickly to client needs throughout Bergen County. If you’ve been arrested, we are ready to provide the knowledgeable counsel and determined advocacy you deserve. We are determined to protect your constitutional rights, defend your freedom, and challenge every element of the prosecution’s case against you. 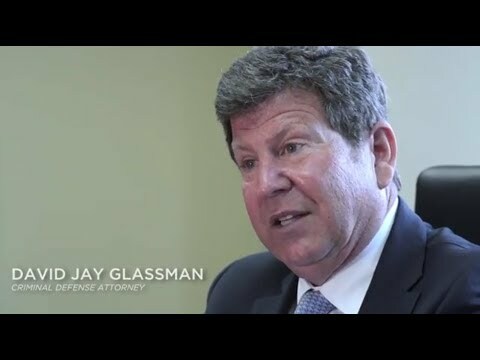 Over more than 35 years, Mr. Glassman earned his reputation as a criminal defense lawyer. Starting as a Deputy Attorney General in Pennsylvania and then a Prosecuting Attorney for Atlantic County, New Jersey, David Jay Glassman honed his trial skills to become a top-rated criminal defense attorney. You can rely on Mr. Glassman to fight for the best possible outcome, given the specific facts of your case. While crime in Bergen County in 2014 dropped seven percent from the previous year, police still made more than 21,000 arrests, a one percent increase from 2013. Most crime in Bergen County is nonviolent in nature; police made nearly 10,000 arrests for nonviolent offenses and 760 arrests for violent crimes. Drug charges here, as in other parts of New Jersey, figured prominently in the county’s crime statistics, with more than 4,000 arrests for possession. A criminal conviction can cause a lifetime of damage. If, for example, you are an undergrad at Fairleigh Dickinson University, a brush with the law can halt your education and derail your career before it even gets started. Make the right decision now and hire a reputable defense lawyer who is determined to deliver the advocacy you need. If you’ve been arrested on state or federal charges in Bergen County, the Law Office of David Jay Glassman is ready and able to protect your rights. To schedule a free initial consultation, contact us online or call 866-221-1270. We are conveniently located at 411 Hackensack Avenue, across from the Shops at Riverside and right next to T.G.I. Friday’s.